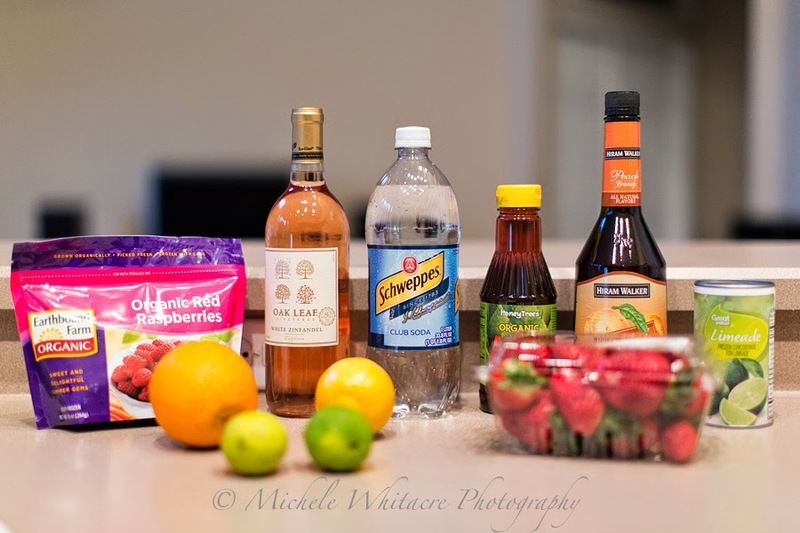 I love Sangria, so I thought it would be great if I found a recipe that I can make at home any time I want. Better! I ended up combining two different recipes in an attempt to reduce the sugar as much as possible and include more of my favorite fruits. I was expecting to have to make some adjustments or try a few different recipes, but I got lucky and loved the very first recipe that I tried! If you like Sangria, give this recipe a try! Pour wine into a pitcher and squeeze the juice wedges from the lemon, orange and lime into the wine. Toss in the fruit wedges (leaving out seeds if possible) then add the agave nectar, limeade, and brandy. Chill overnight. Add club soda, strawberries, raspberries and ice just before serving. Yum!